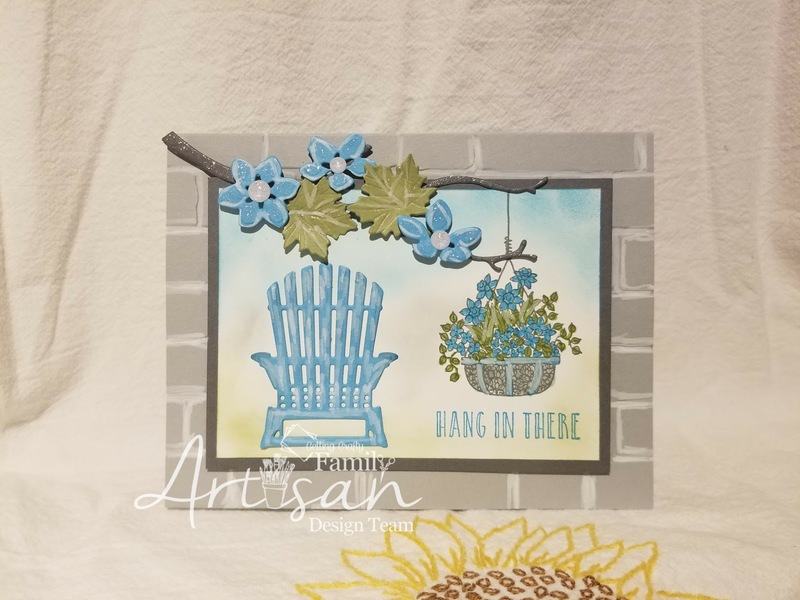 I had this idea of a patio scene for this card using the color scheme I'd like my patio to have. How inviting and fresh having grays and turquoise would be! It's almost beach-like! 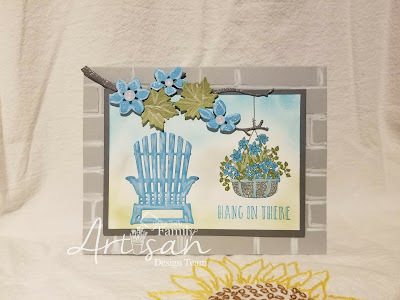 I added chalk pen to the grout lines of the brick background and "white-washed" the turquoise chair.